For decades, persons with disabilities have been afforded the use of special placards and plates and designated parking spaces to aid in mobility. These accommodations, along with the ability to park free of charge at parking meters that would be difficult for those with dexterity challenges to operate, allowed for greater ease of movement and accessibility. However, what was intended to aid those who truly need accommodations has increasingly been taken advantage of by people who don’t need the help—and it’s disabled persons who pay the price. When there is no available parking, there is no accessible parking. 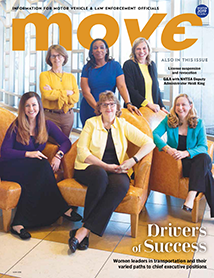 “If there is not parking available for disabled people, they are left having to find a space that is not safe and not designed for them, their wheelchairs or other equipment,” says Paul Steier, AAMVA Law Enforcement Program Manager. “It puts them and others at a very high safety risk,” he says. And beyond the burden this places on disabled persons, municipalities also bear the brunt of this fraud. When people who don’t need disabled placards or plates use them to park for free at parking meters, municipalities lose out on revenue. Representatives of the disability community approached the National Highway Traffic Safety Administration (NHTSA) and the Federal Highway Administration to ask for help addressing some gaps in the application of the Americans with Disabilities Act (ADA) regarding the availability of reserved parking, eligibility standards, and enforcement of rules surrounding it. According to Michelle Atwell, Highway Safety Specialist, Enforcement & Justice Services, NHTSA, the relevant federal guidelines offer only guidance for jurisdictions and no enforcement language. NHTSA then approached AAMVA in 2017 to get a better handle on what should and could be done. AAMVA’s Law Enforcement Standing Committee convened the Disability Placard/Plate Working Group to study the problem of fraudulent or inappropriate issuance of placards. 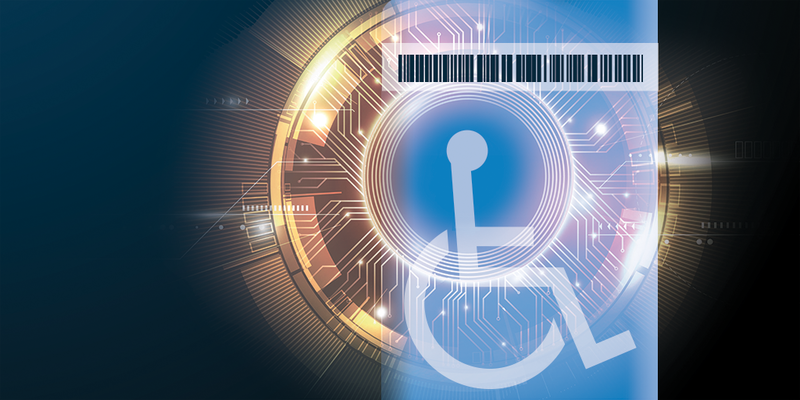 They issued a guide, Persons with Disabilities Placards and License Plates—Best Practices in Deterring and Detecting Fraud and Misuse, in August 2018. It includes information on the history and context to parking access associated with disability placards and license plates issued by jurisdictions within the AAMVA community. The guide also provides sample statutory language and recommended standards for disability placards, plates and the application process. The guide provides best practices for combating disability parking fraud, a growing problem particularly where parking shortages occur or the benefits of displaying placards and license plates includes free or unlimited parking. Working on innovative approaches to this challenge is not new for many AAMVA members. Some jurisdictions have launched public awareness campaigns about the fraudulent use of placards with special messaging for medical personnel. In Illinois, for example, motor vehicle administrators went directly to medical meetings and organizations to spread the word about how fraud impacts the community. In addition, the state developed a handout specifically for medical professionals that clarified existing and new rules about application certification and patient eligibility—as well as the penalties for false statements. To download a copy of the Best Practices Guide, go to aamva.org/best-practices-and-model-legislation. The strategies that have been concocted for misusing disability parking placards and plates run the gamut from less-than-innocent sharing of placards among friends or family to sophisticated counterfeiting and identity theft schemes. Fraud also arises from within DMVs when employees accept bribes to falsify or approve applications. When this type of fraud is discovered, those employees lose their jobs and can face criminal charges. More commonly, though, end users are responsible for fraud. People have submitted applications for a placard or plates in the name of a fictional person, or with “approval” from a nonexistent or unauthorized medical care provider. Beyond the question of which providers should be authorized to certify placard applications, there is confusion around what constitutes a qualifying disability. Certain physical limitations are obvious and clear-cut, such as lower body disability or dysfunction, or cardiac and pulmonary problems that are dangerously aggravated when the person has to walk more than a few steps. On the other hand, temporary conditions such as twisted ankles or torn ligaments could prompt a request from a patient for a placard that is hard for the health care provider to turn down. “We have included recommendations for education of medical personnel,” says Atwell, who believes that many health care providers may not understand the depth and breadth of the problem. From the point of view of the DMV, there might be some over-prescribing of temporary disability placards, which opens the door to misuse. Of course, there are also some providers who are willing to knowingly falsify certifications as well. AAMVA’s new best practice guide recommends dealing with post-issuance fraud by strengthening the rules about which licensed professionals are allowed to certify disability applications and the conditions that they are qualified to assess. Some users have sold legitimately assigned placards and then requested replacements. Family members have sold the placards of deceased recipients online. Other users have counterfeited or altered placards that have expired. The best practices guide recommends verifying the identity of the applicant, checking against state death records and closely tracking replacement applications. To assist DMV personnel to identify fraud and take proper steps to reduce it, significant portions of the best practices guide will be incorporated into a new training module for the Fraud Detection and Remediation (FDR) program.